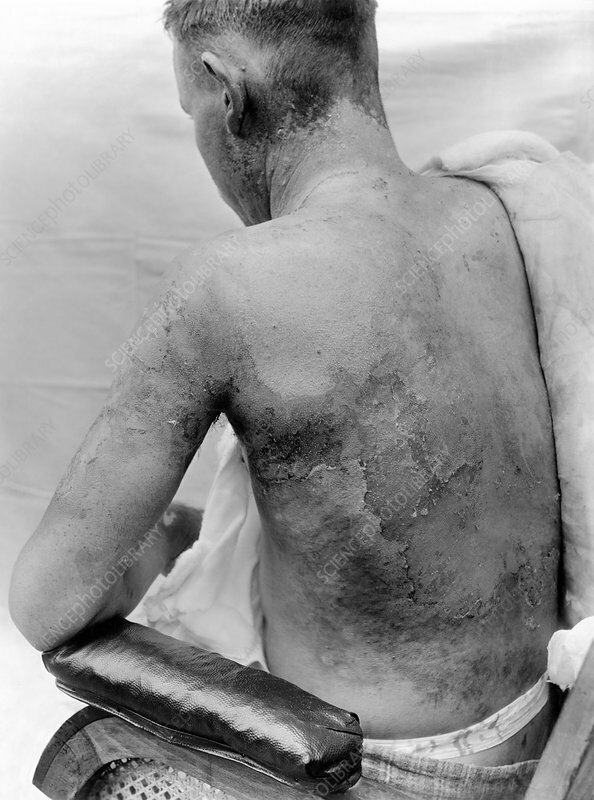 Mustard gas burns on the back, neck and arm of a US soldier injured during World War I (1914-1918). Mustard gas is not a gas in actuality but a viscous liquid. It is a nerve agent and a strong vesicant (blister causing chemical) used in chemical warfare. In severe cases, it can be fatal.